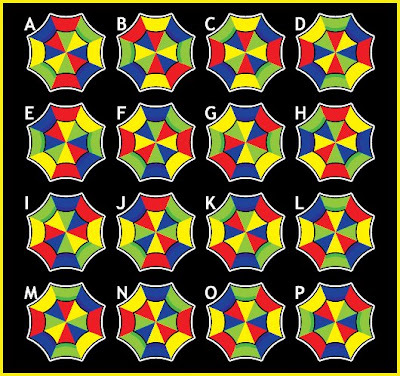 Can you find Two (2) Identical Parasols among those Sixteen (16) shown in the Illustration? The Parasols can be rotated but not mirrored. there r none that match exactly although f & k have the same colors but when rotated they dont match up!! i guess ur rite, glynnannsbff.